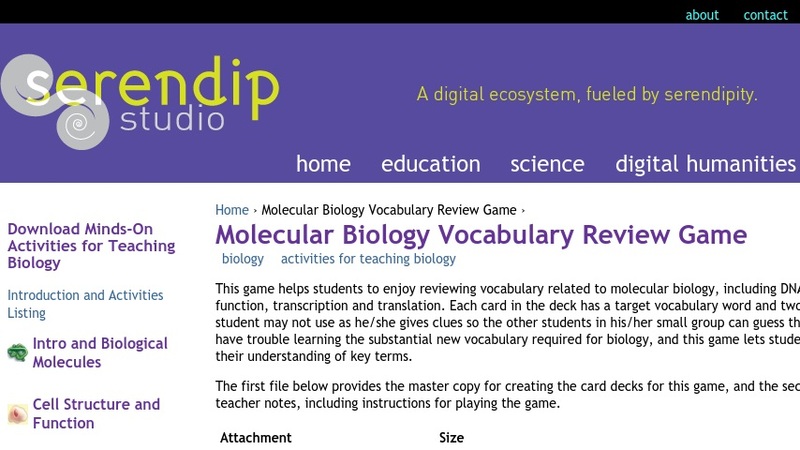 This game helps students to enjoy reviewing vocabulary related to molecular biology, including DNA and RNA structure and function, transcription and translation. Each card in the deck has a target vocabulary word and two related taboo words that the student may not use when giving clues so the other students in his or her small group can guess the target word. Many students have trouble learning the substantial new vocabulary required for biology, and this game lets students have fun while reinforcing their understanding of key terms.